Learn to Surf this Summer! Located on Scarborough Beach, Surf Camp is Maine's only full week surfing day camp and one of the only dedicated surf schools in New England. In addition to our flagship day camp offering, Surf Camp also offers surf lessons, adult surf camp, a weekend surf + climb program, and a fall surfing program. 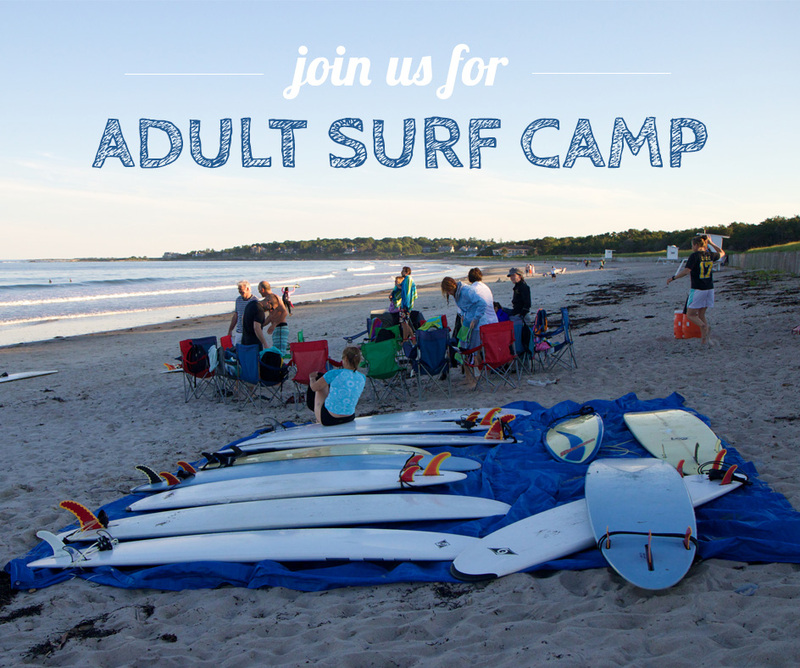 Join us for Maine's original surfing day camp. In our flagship summer camp, your camper will learn to surf, make lots of new friends, and hang out at the best place in the world: a Maine beach in the summertime! Book early - camp fills up quickly. Learn to surf with the most experienced instructors in the Northeast. Our surf lessons teach surfing fundamentals that will stick with you for a lifetime. Meanwhile, you'll experience the thrill of wave riding. Fair warning: we've created many addicts! What program would you like to sign up for?